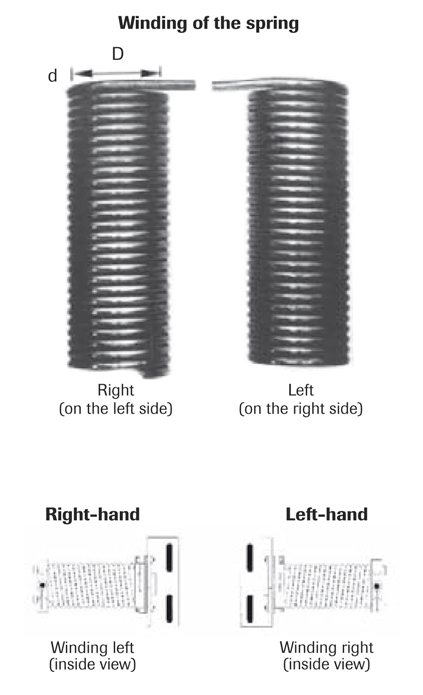 How do I figure out the number of cycles for torsion springs for my commercial garage door? The required number of cycles is calculated by determining the average number of operating cycles per day, multiplying this figure by 250 days, and then multiplying the result by 10 years (the useful life of a garage door). The choice of the torsion spring is made according to the number of cycles thus obtained. You can choose from 25 000, 50 000, 75 000, or 100 000 cycles. It is good to note, however, that door width may limit this choice. So ask that the springs have a maximum number of cycles based on the movement type of the door.